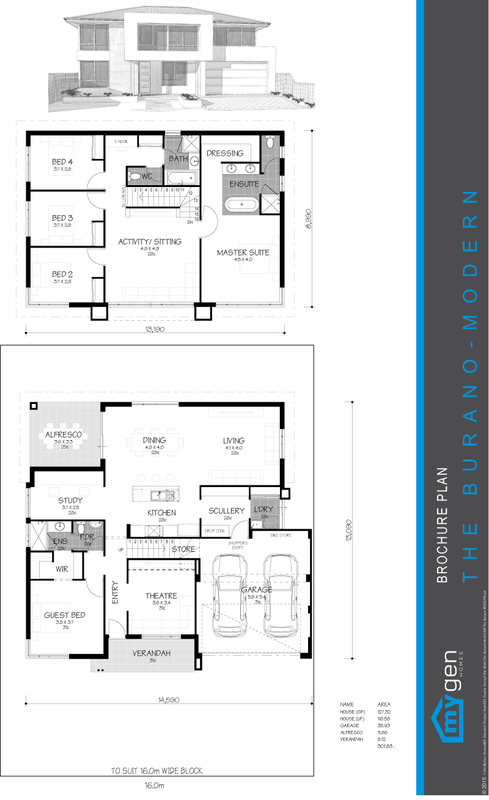 Suited to today’s compact living, the Burano combines design economy with functionality and flair to provide an ideal two storey solution. This 5 bedroom, 3 bathrooms home features an open ensuite, layout ideal for sites with access to ocean/city/park views. Relax in the bath with uninterrupted view through large master suite window while maintain your privacy. Upstairs you will also find a large activity/ sitting area that provides separation between master suite and secondary bedrooms. The multi-purpose guest bedroom close to main entry downstairs is a perfect example of multi-generational living suiting independent teenagers or grandparents needing support. The Burano has all your answers!